March 3, 2017 (Ulson Gunnar - NEO) - The US has reiterated its alleged commitment to honoring the "One China" policy under which it is recognized there is only one Chinese government. The policy exists in direct reference to Taiwan and its status as a break-away province from Beijing's authority. 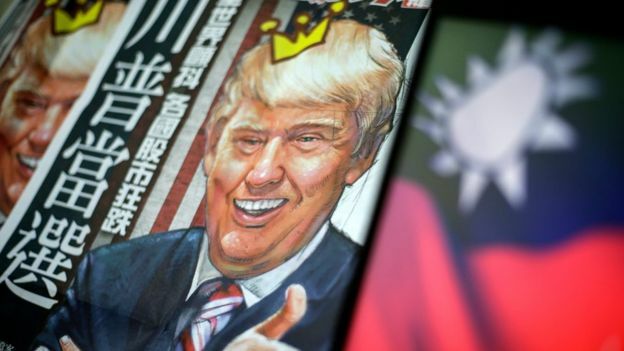 US President Donald Trump has climbed down on past threats and agreed to honour the so-called "One China" policy. Despite US assurances that it still honors this policy, the policy itself is a result of direct US meddling in China's internal affairs before, during and following World War 2. Taiwan's break-away status, bolstered by military forces consisting of almost exclusively US weaponry, is just one part of a much larger strategy maintained by Washington for decades aimed at encircling, containing and ultimately controlling China in a bid to maintain US hegemony across all of Asia-Pacific. As early as the 19th century, collusion between American commercial interests and the US government sought to annex Taiwan outright. During and directly after World War 2, the US used both sides of China's simmering civil war to wage war on Japan, only to betray the Communists in favor of the inept, corrupt regime of Chiang Kai-shek. The nationalists' loss to the Communists led to their exodus from the mainland to Taiwan where the US has sheltered them and successive regimes ever since. Together with US-European subversion carried out through US organizations like the National Endowment for Democracy in Tibet, Hong Kong and China's western province of Xinjiang, Taiwan serves a constant point of pressure and contention exerted against Beijing by the West. In other words, not only does the United States seek to undermine the "One China" policy regarding Taiwan itself, it is actively seeking to create other break-away regions through political upheaval, separatist movements and even armed terrorism. In light of this, it is clear that China's apparent "aggression" toward Taiwan, or its actions in Hong Kong, Tibet or Xinjiang, are direct reactions to US provocations rather than provocative expansionism on Beijing's own part. It should be noted that tensions between Beijing and Taiwan serve not only to undermine peace and stability within China, but also across the region. Taiwan's population and economy must be interacted with using particular care by other nations across Asia. Singapore recently found itself in a row with Beijing over military cooperation with Taiwan. Singapore's Ministry of Defence said the shipment of Terrex infantry carriers had been delayed on November 23 during a routine inspection by Hong Kong Customs. Local media reports have suggested the seizure was at Beijing's request. 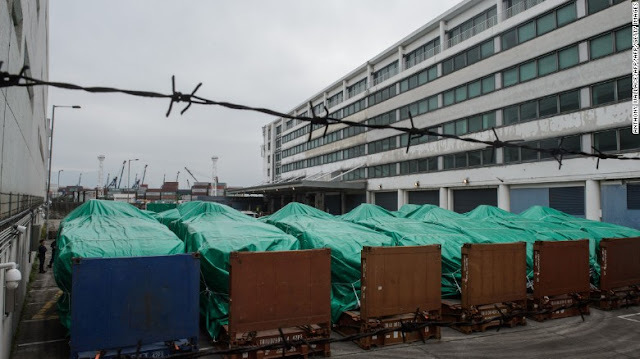 While the Western media intentionally attempted to inflate the incident in a bid to drive a wedge between not only Beijing and Taiwan, but also between Beijing and Singapore, the incident does highlight the complications Taiwan's current status results in. For Asia, while maintaining a balance of power between all nations in the region including China is essential, allowing the United States to continue dividing nations against themselves and each other in a bid to reassert US hegemony over the entire region is unacceptable. Conflict serves only Washington's best interests, demonstrably creating socioeconomic and political setbacks for all other players in the region. The United States' overt treachery in claiming to "honor" the "One China" policy while openly undermining it for decades is a warning to all other nations in the region contemplating ties between themselves and Washington predicated on America's good word rather than based on actual political, economic and military leverage.